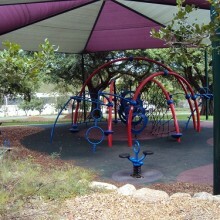 The climbing net and suspended equipment make it perfect for “evading lava” and other imagination games where the ground is out-of-bounds. 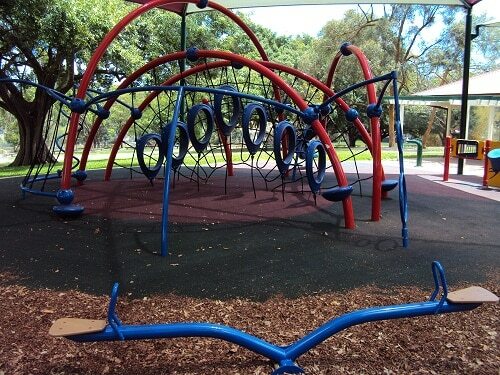 A hidden gem – This playground is hidden away under mature shade trees behind the Centenary Pool complex off Gregory Terrace at Spring Hill. 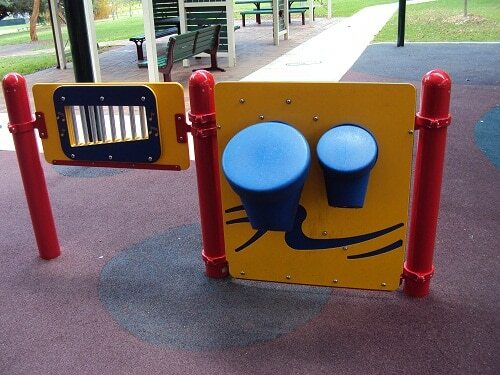 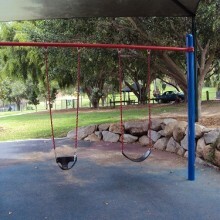 The climbing equipment and slide in this park is aimed at children 5-12 years. 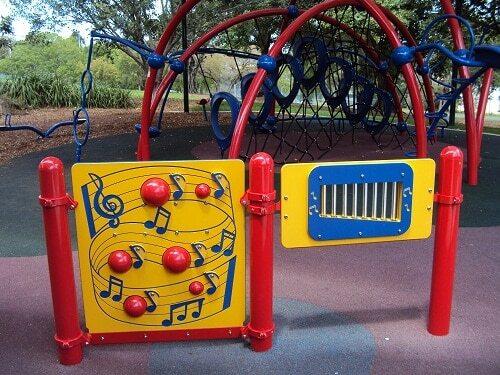 There are xylophones and drums to make some music and see saws and swings for kids of all ages. 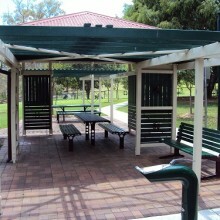 Two picnic tables here, one under cover, with an additional bench seat. 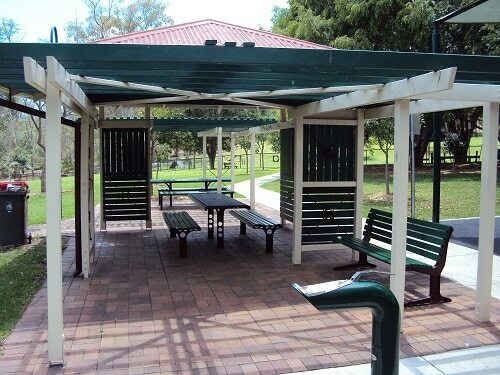 Plenty of grass for picnic rugs. 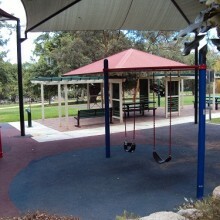 Walking and bike paths criss cross the park adjacent to the playground, connecting via a land bridge over the Inner City Bypass to York’s Hollow, with a duck pond there. 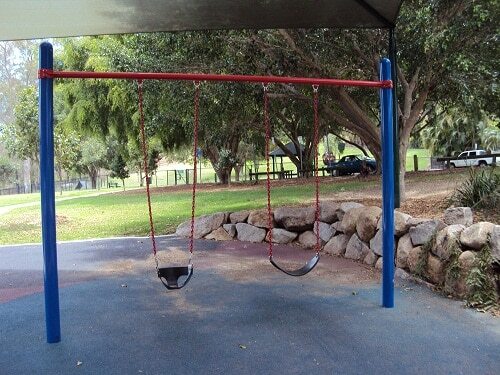 This park is lacking toilets and barbecues. 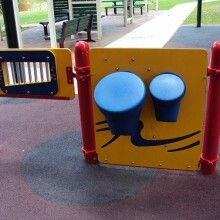 Play up a storm on the percussion instrument stand with xylophones and drums accessible by several people at once. 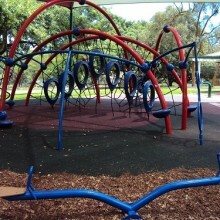 The climbing net and suspended equipment make it perfect for “evading lava” and other imagination games where the ground is out-of-bounds. 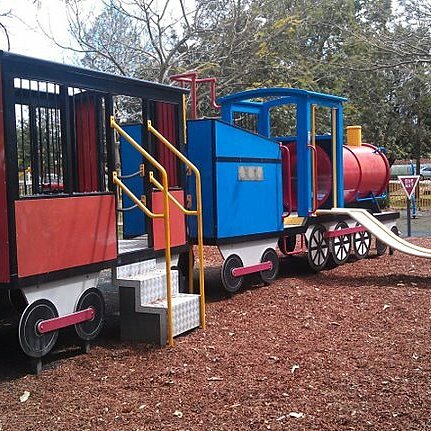 The slide is perfect for primary school aged kids. 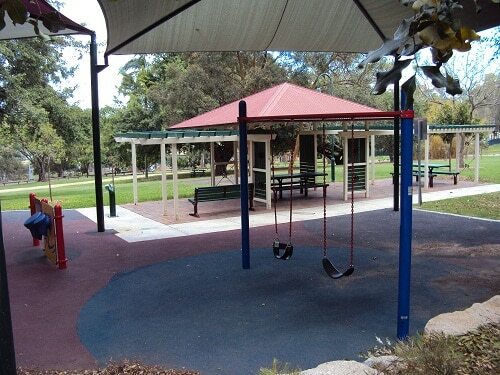 Large, sloped, grassy areas surround the playground and would so suit a game of tiggy! 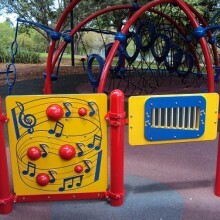 There are no specific special needs facilities at this park, however a wheelchair would fit at the picnic tables, the percussion instruments are the right height for a wheelchair, and there is easy access via the concrete pathways. 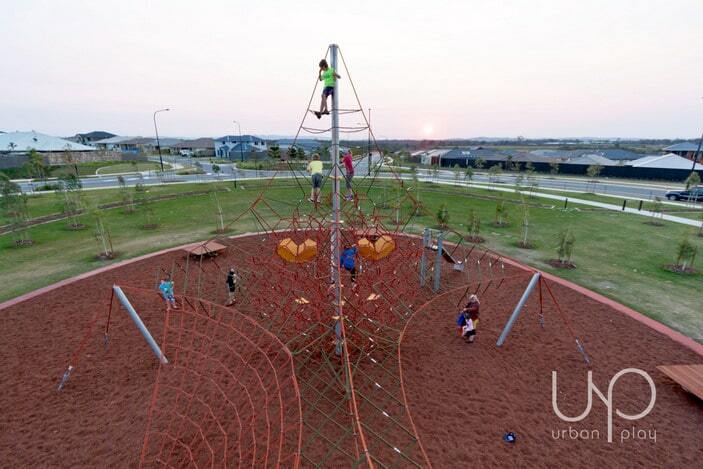 There are no toilets and the playground is unfenced. 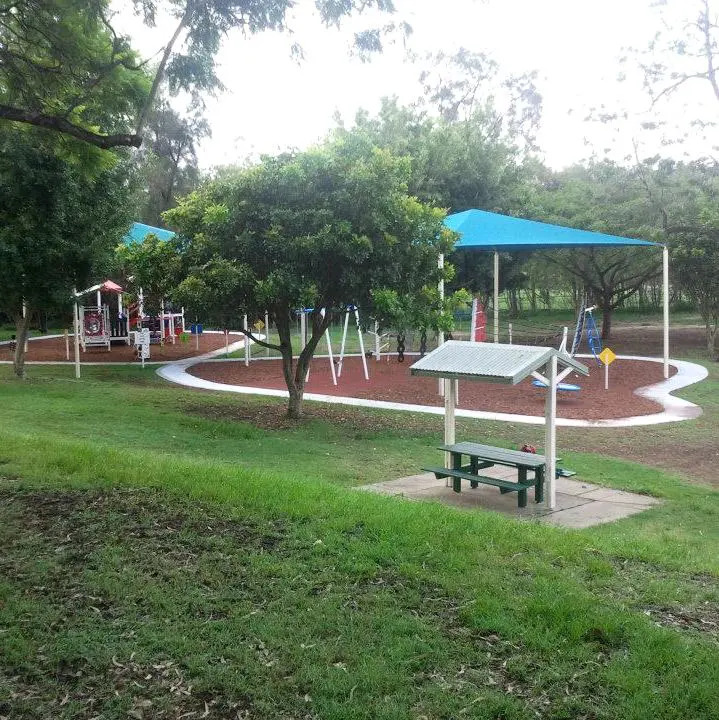 There are awesome Brisbane Parks nearby including Melrose Park down at Woolloowin. 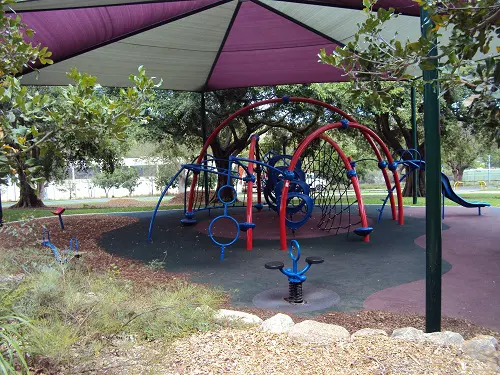 This park review was updated in 2013.